The South by Southwest festival has introduced many young, creative newcomers to Austin and many return to stay. 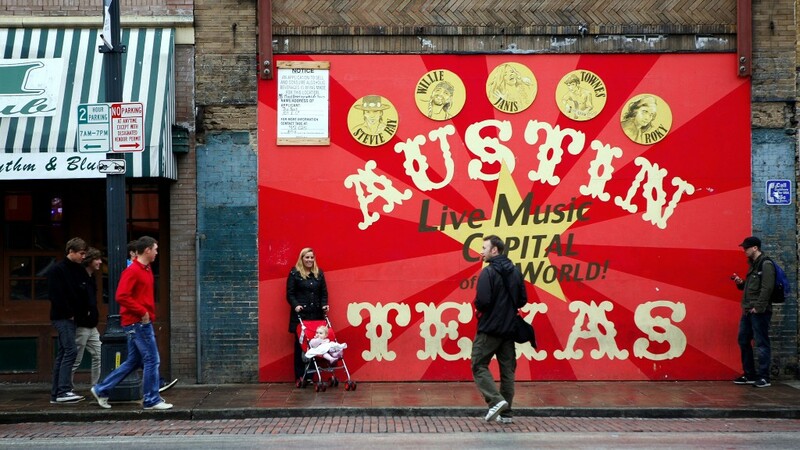 About 110 people are moving to Austin every day -- and many of them are under the age of 35. Often, new residents visit the city during its famed SXWS (South by Southwest) festival, experience its hip lifestyle and music scene and decide they want to move here, said Michael Rollins, president of the Greater Austin Chamber of Commerce. Luckily, there are plenty of jobs. A number of big tech companies -- including Apple (AAPL), Google (GOOG), Facebook (FB), and Intel (INTC) are boosting their operations in Austin. In addition, the giant University of Texas has spawned many startups. For young buyers, the median home price -- at $226,000 -- is not exactly cheap. Yet, many can still afford homes here given the high incomes in the area, according to a National Association of Realtors' report on best ,arlets for Millennial homebuyers. One issue: supply. There's been so much demand for housing that inventory in the Austin metro area is pretty tight. Luckily, there's plenty of land to build on and relatively lax building regulations, allowing new home construction to gain steam in recent months. Rankings were based on employment data, median home prices, home price growth and affordability, as well as the percentage of Millennials living in the metro area and their share of all age groups moving to the area. Median home prices data is for the first quarter of 2014, while job growth figures are for the 12 months through May 2014. Stressed Out Cities: How does your city rank?